Trufora Day Serum 85 Review (2018): Is It Really Worth Buying? Trufora Day Serum 85 Review: Is This Serum Safe To Use? Trufora Day Serum 85, US $60 for a 30 ml bottle, is an anti-aging serum particularly formulated for day time use. Use to boost your skin’s moisture content and better protect your skin cells as well as your skin’s’ collagen and elastin fiber network from breaking down. About Trufora Day Serum 85 — Does It Really Work? This product is brought to you by Trufora, a name derived from a play of the words, “truth in formulation” which speaks a lot about this brand’s skin care philosophy, “Effective, Ethical Skincare”. Lean and mean ingredients that deliberately leaves out the toxic and sensitizing ingredients often infused in anti-aging products is the kind of formulation this brand demands of itself. 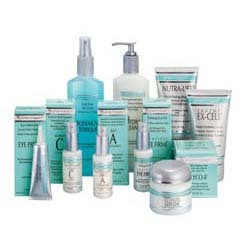 All products bearing this label are formulated by dermatologists. Revitalize your skin as it revives your skin’s energy and natural radiance. Deliver ingredients that help hasten mechanisms that enhance your skin structure and texture. 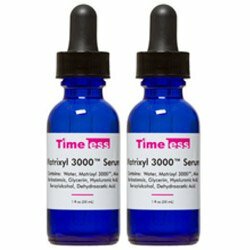 Improve the appearance of age spots, wrinkles, and other visible signs of skin aging. Protect your skin from future damage by shielding your collagen fibers from degradation and breakdown. 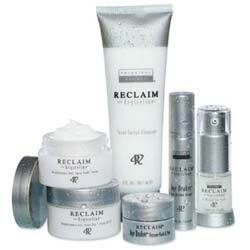 With regular product use, your skin’s youthful health and younger looking appearance are restored. What Are The Ingredients In Trufora Day Serum 85? BV-OSC Stable (oil-soluble form of vitamin C): Provides powerful antioxidant protection that defends your skin from damaging factors while simultaneously lightening dark spots and brightening your overall skin tone. Tocomin® 50%C: A proprietary Vitamin E complex that further boosts your skin’s antioxidant protection against free radicals as well as environmentally induced signs of damage and aging. Peptide Q10™ Biofunctional: A synthetically prepared peptide that actively helps your skin resist glycation. ECM-Protect: A specially engineered peptide that enhances your skin’s density and firmness while simultaneously protecting your collagen and elastin fibers from becoming damaged and degraded. Luminescine: A proprietary blend of botanicals that have natural skin brightening properties that work together to enhance your skin tone and radiance. Trufora Day Serum 85 is formulated to be incorporated as part of your morning skin care regimen. For best results, use the Trufora Night Serum 85 as part of your night time routine. When using this product for the first time, make sure to perform a patch test to help rule out irritations and allergic reactions. Trufora Day Serum 85 delivers intense skin hydration without causing your skin’s surface to become greasy. This product is fragrance-free and cruelty-free, and suitable for use of vegans. This product does not already include sunscreen protection which you must layer on this product every morning without fail. Trufora Day Serum 85 reviews are severely lacking, making it impossible to gauge users’ collective perception of this product’s performance as well as experience using it. Does Trufora Day Serum 85 Have Any Side Effects? Based on the ingredients and reviews, skin irritation and allergic reactions are the only side effects that can be expected when using Trufora Day Serum 85. Trufora Day Serum 85 presents its formulation as the perfect anti-aging and moisturizing companion for day time use. Indeed, there are powerful complexes infused in it that promote improved skin health, appearance and protection. However, the manufacturer failed to be keen about backing up these claims with studies that prove their anti-aging benefits.